The Wicked + The Divine is an ongoing hit for Image Comics and they're celebrating the book's popularity with a variant cover for the sixteenth issue by Leila del Duca. This dark, haunting cover will be available to order with Diamond Code SEP150550. 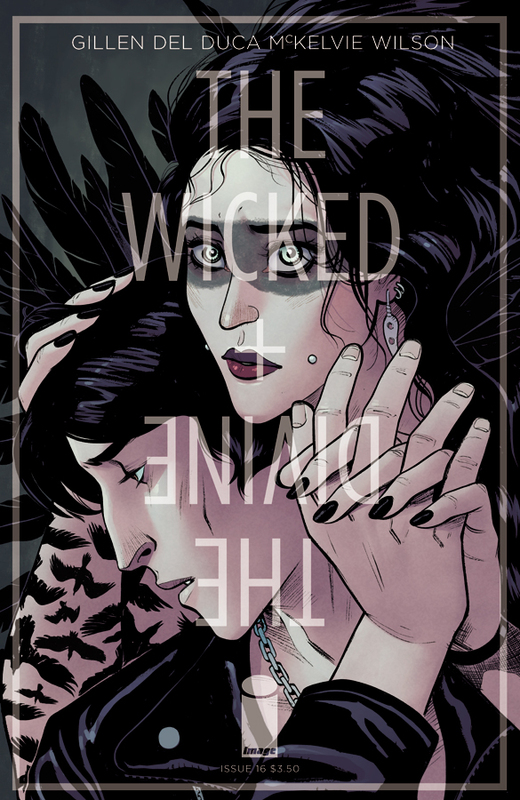 The Wicked + The Divine #16 takes a gothic turn with The Morrigan at center stage. The issue also features backup stories by series artist McKelvie and colorist Matt Wilson. It will hit shelves on November 11 and can be ordered with Diamond Code SEP150549. Final order cutoff deadline for retailers is Monday, 10/19. THE WICKED + THE DIVINE #16 will hit shelves on 11/11 and can be ordered with Diamond Code SEP150549. Keep an eye out for the special Leila del Duca variant (Diamond Code SEP150550) which will be available on the same day. Final order cutoff deadline for retailers is Monday, 10/19.